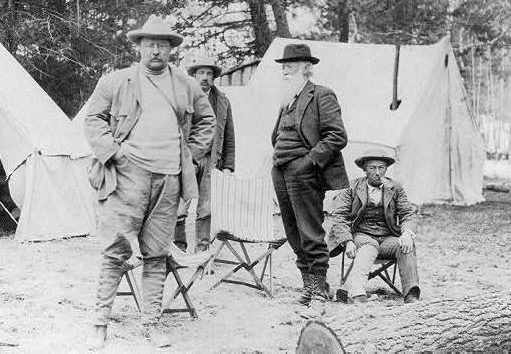 “TR CAMP” is unique and exclusive to Teddy Roosevelt Live. 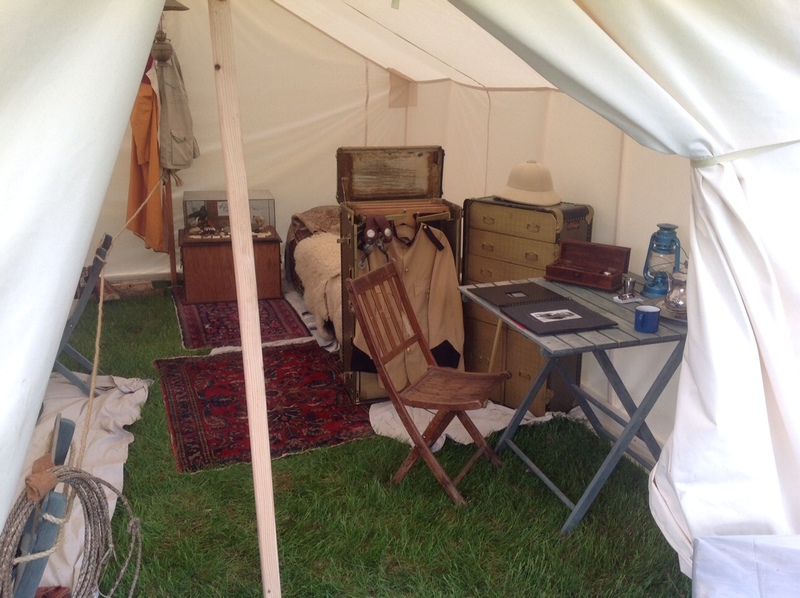 TR Camp is an authentic reproduction, interactive experience. This is Teddy Roosevelt’s Hunting / Conservation Camp. A 45 Star American flag waving in the wind and U.S. Museum shipping crates stacked for a TR expedition draw a visitor’s curiosity to the marvels of the camp. Once inside, guests are immersed in a full Roosevelt experience, including meeting Roosevelt himself. 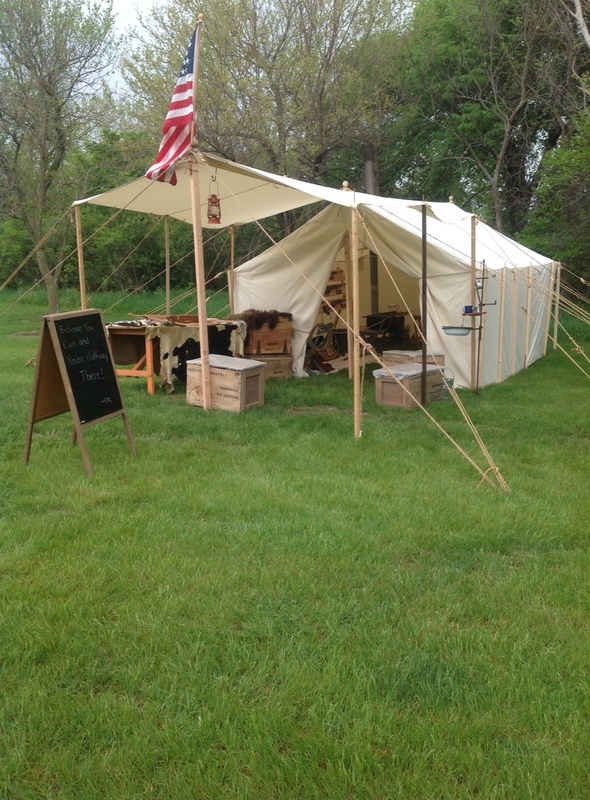 The journey begins with an 1880’s period wall tent like Roosevelt used on his many adventures. Visitors are allowed inside (and can stand by a warm stove during cool weather) and see the President’s bed, writing table, steamer trunk and antique accessories of the period. Also inside are displays that provide history into TR’s various life experiences, including: Cowboy in the Dakota’s, Soldier in the Spanish American War, The Smithsonian-Roosevelt African Safari and Roosevelt-Rondon Expedition down the “River of Doubt”, along with a reproduction of 8 year old Teedie’s personal “Roosevelt’s Museum of Natural History”. 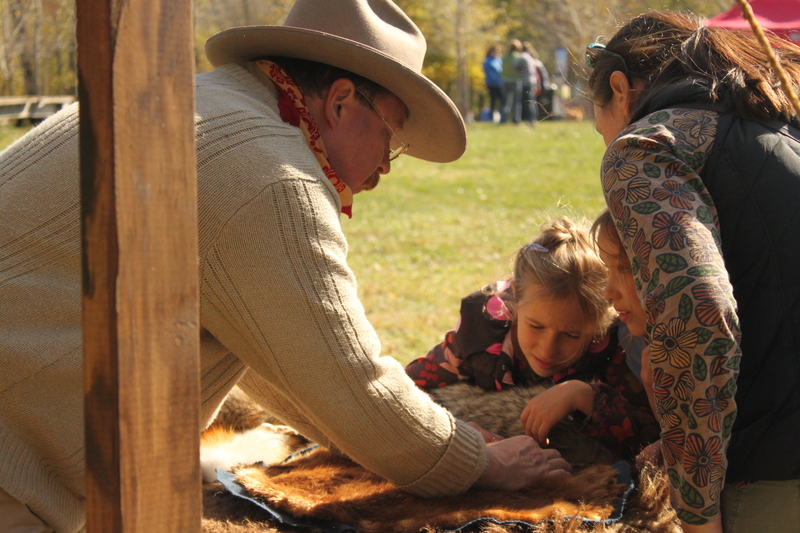 Outside of the tent are hands-on animal skins for discussion and learning. 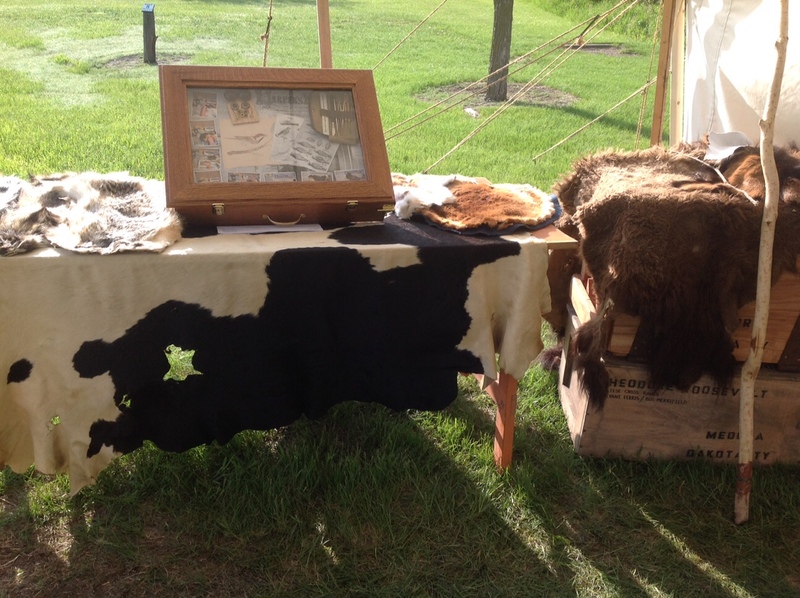 Artifact displays along with live “TR talks” on a variety of topics occur during the day with TR remaining in character throughout, all under cover in the event of weather. 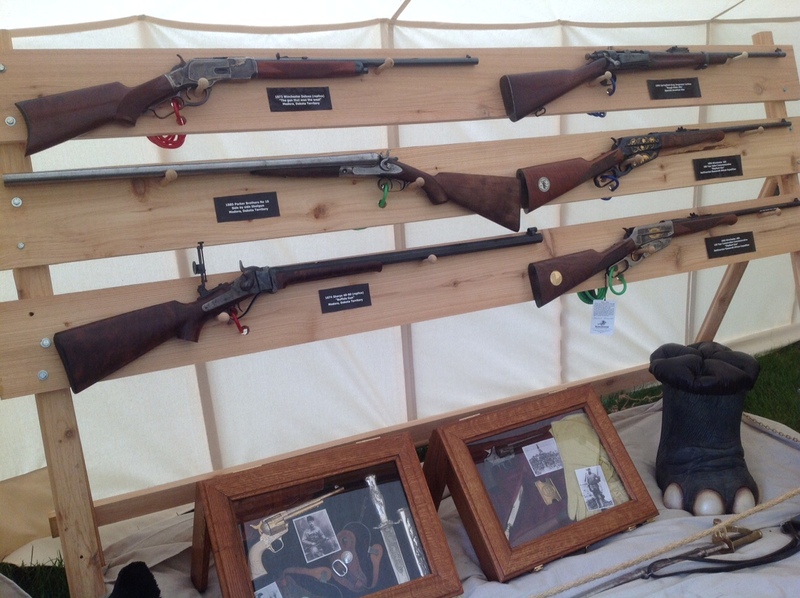 An optional antique and commemorative Roosevelt arms display is also available for events. (For an additional fee – must comply to local and Federal laws). TR Camp booking runs the gambit from single day library or school events to large, indoor or outdoor, single or multi-day events. TR Camp had about 50,000 visitors in 2015 and will double that number in 2016. Our clients include outdoor expos, sportsman’s shows, game fairs, history fairs, State and National Parks, and county fairs. 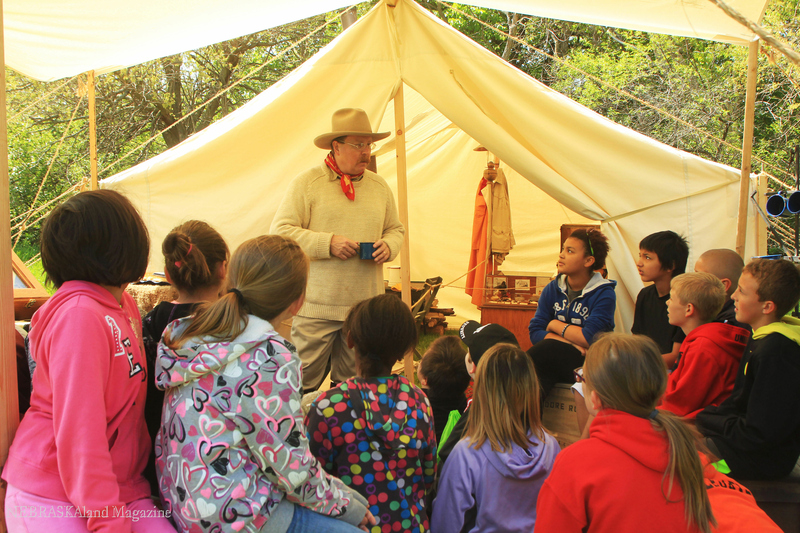 TR Camp is VERY Popular with attendees and is often referenced in evaluations as the best presentations and display at history programs and events. We are often booked year after year with venues. “Heritage”, “Legacy”, “Humanities” and other kinds of grant opportunity are often available in your area to assist in funding this program for your event. For an informational brochure including availability, pricing, space requirements and customization options for having the Theodore Roosevelt Hunting Camp Program at your event, please contact us at adam@bigstickmarketing.com or at 612-385-2926.